Sticky keys is a special function in the Windows operating system, is designed for those users who find it difficult to press multiple keys on the keyboard simultaneously. This function applies to the keysand Ctrl, Alt, and Shift keysin Windows. If you can easily cope with the input of any combinations on the keyboard, you can just disable the sticky keys. To stop the tool sticking keys, go through the start menu" in the "control Panel". Click the "Special options" with the left mouse button will open a dialog box. In classic control panel displays the desired icon is available immediately in the display panel by category, click the corresponding section - "Special opportunities". In the dialog box, click the tab "Keyboard". Under "Sticky keys"at the top of the window, remove the marker from the field opposite the inscription "Stuck". Click "Apply" to make the new setting take effect, close the window by clicking on the OK button or the X in the upper right corner of the window. If you don't want to turn off the vehicle stuck keys, use a different method. 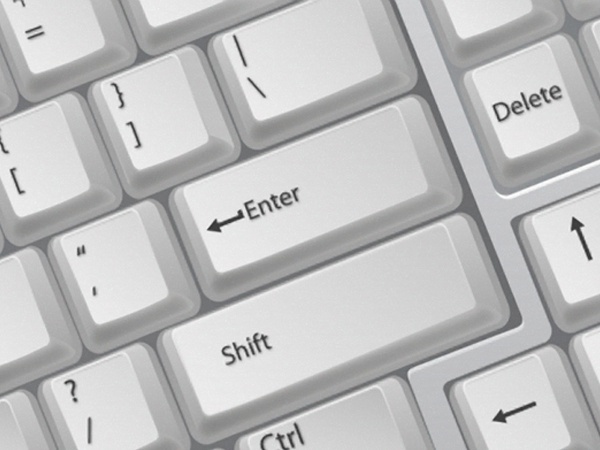 In order to remove the sticky while working on the computer, press five times keythe Shift. To use this combination, you should note it in the settings. To do this, call the accessibility options as described in the previous steps and on the General tab click in the section "Sticking" the button "settings" and place a marker next to the appropriate item. Stiction is provided not only to the keys of the keyboard but for the mouse button. If you want to turn off the ClickLock, through the menu "start", go to "control Panel". In the category "Printers and other hardware" icon select the "Mouse" by clicking on it with the left mouse button – will open the Mouse Properties". In this dialog box, click "mouse Button", in the "Stuck mouse button" remove marker from the field, located next to the line "Enable sticky". To make new settings take effect, click "Apply", close the dialog by pressing the OK button or by clicking the left button of the mouse on the X in the upper right corner of the window.